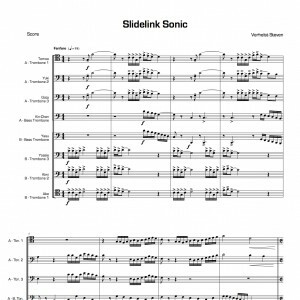 Slidelink Sonic was written for the Slidelink Trombone Ensemble. 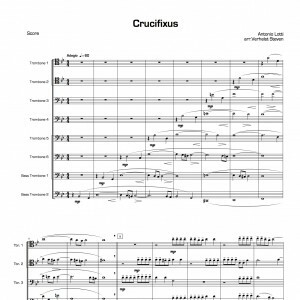 It was premiered at the Kansai Trombone Festival in Osaka on 5th of May 2014. After a short opening fanfare, the game is on. 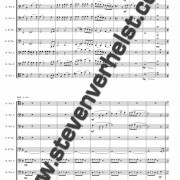 Everyone can recognize from the beginning the main theme as it is displayed several times in several soloists. 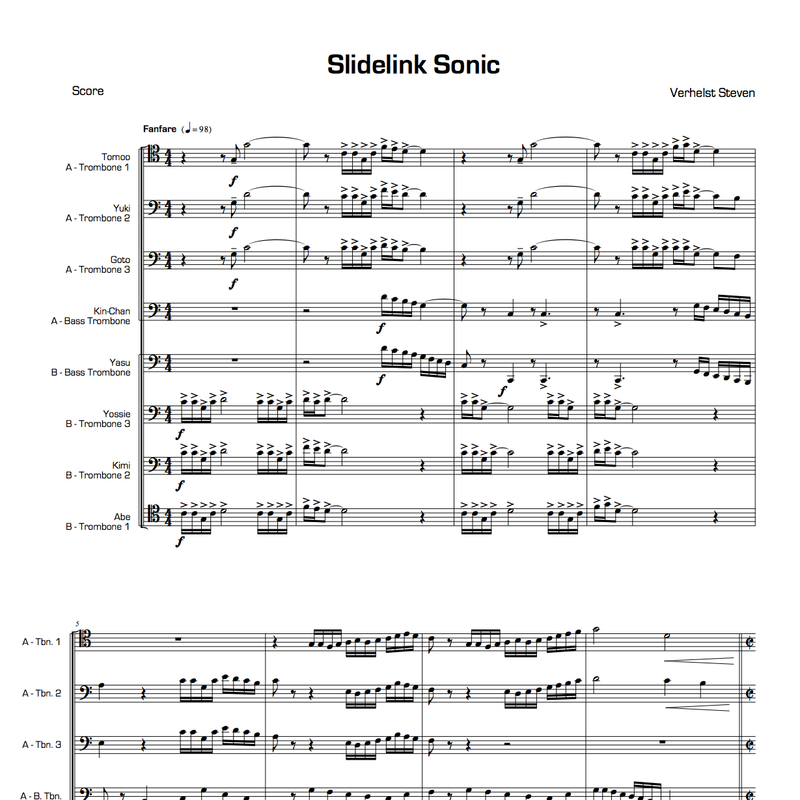 This Slidelink theme starts as a unisono melody but becomes quite fast a harmonized melody. 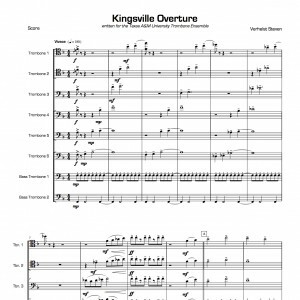 The ensemble is split in two at the middle section of the piece. 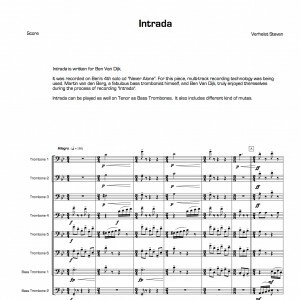 This brings relief in the music and points out the dialogue between the two groups. 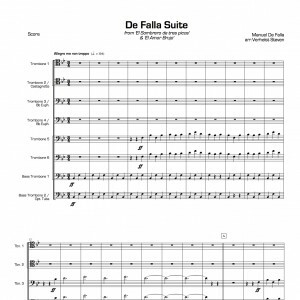 At the end, the opening fanfare returns in an improvised form and ends in a grand fermate.